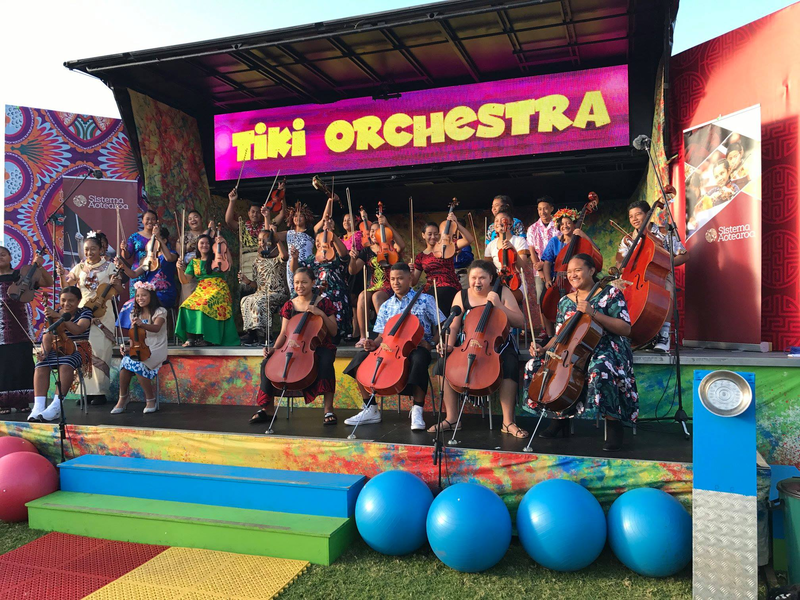 Our amazing students are about to make an amazing debut – the first Pasifika Youth Orchestra ever to perform mainstage at the iconic Pasifika Festival. On Saturday 23rd March at 3.30pm Western Springs they’ll be wowing the enormous crowd. There are usually a range of performances unique to Samoa, Tonga, Cook Islands, Fiji, Niue, Tahiti, Tokelau etc and the Tangata Whenua (New Zealand Maori). To have Sistema Aotearoa – an organisation made up from students from all those cultures working together is very special. For us to share with the community and enrich the music scene by highlighting and bring the genre of orchestral music directly to Maori and Pasifika communities at the Festival is going to be a great privilege. Sadly, given the need to prioritise police resourcing following the terrible events in Christchurch, the Pasifika Festival has been cancelled. We appreciate and respect that the New Zealand Police must prioritise resourcing to ensure the safety of all our communities across Tāmaki Makaurau. We are so very proud of our wonderful students who, with their tutors, have been working so hard with their preparations for the last 3 months. We have been trying to have a mainstage performance at the Festival for several years now so were thrilled when the invitation to perform arrived and it was a real credit to the Sistema Aotearoa students, staff and whānau that they were selected to perform. Pasifika Festival will return bigger and brighter in 2020 and we’ll aim to have our students on stage. Our thoughts and prayers are with all those impacted by the tragic events of this week.